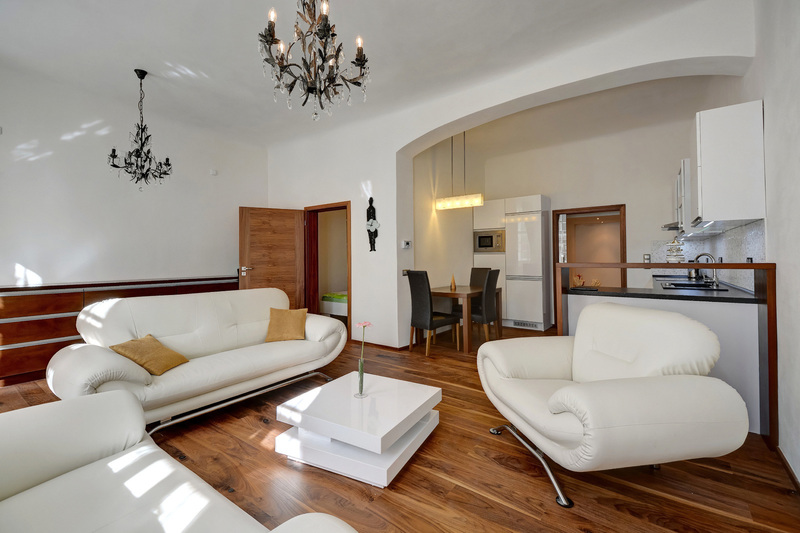 Two unique two-storey apartments, both with the area of 120 m² and with a view of Prague Castle and over the roofs of the Old Town, are offered in a house situated between the Old Town Square and Wenceslas Square. 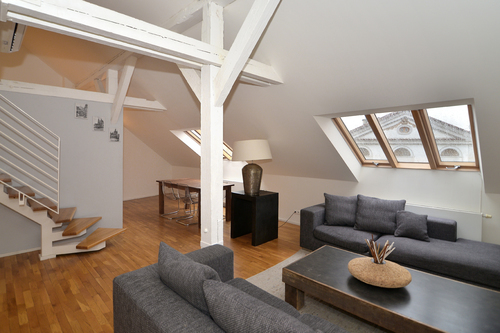 They are located on 4th floor in a building with an lift. The living room on the lower floor offers comfortable sofas if you decide to watch the cable TV. 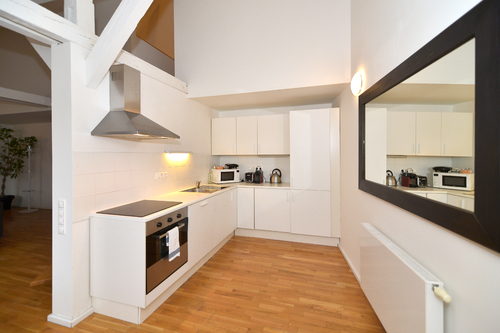 The kitchen is equipped with a cooking plate, oven, fridge, washer, Nespresso and microwave oven. 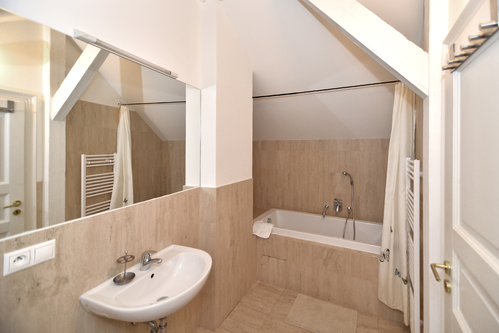 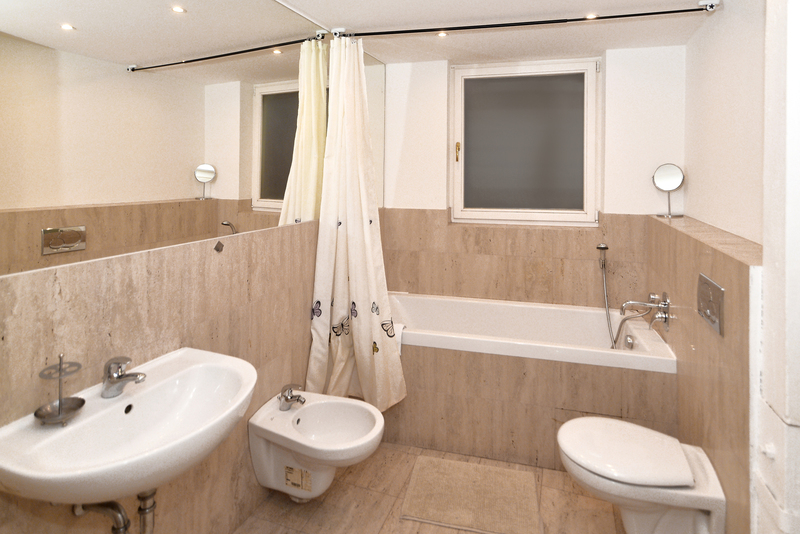 Both bedrooms of this two-storey apartment have a double bed, their own bathroom with a bathtub and toilet. 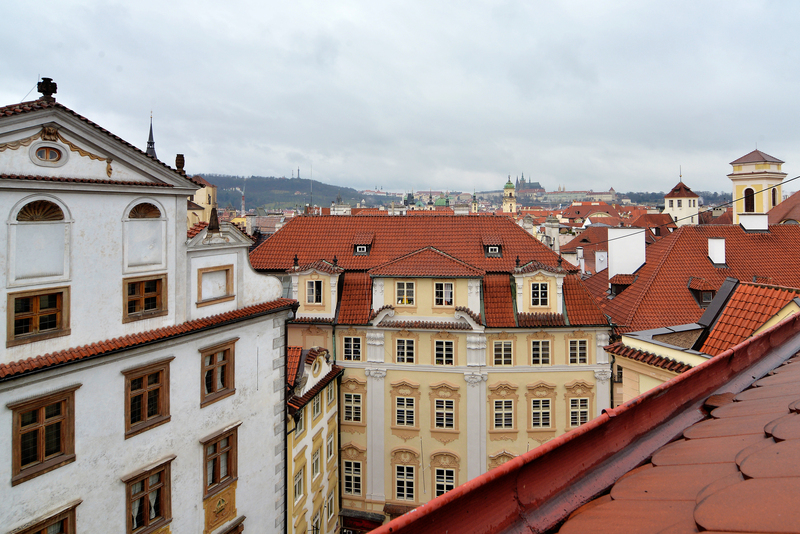 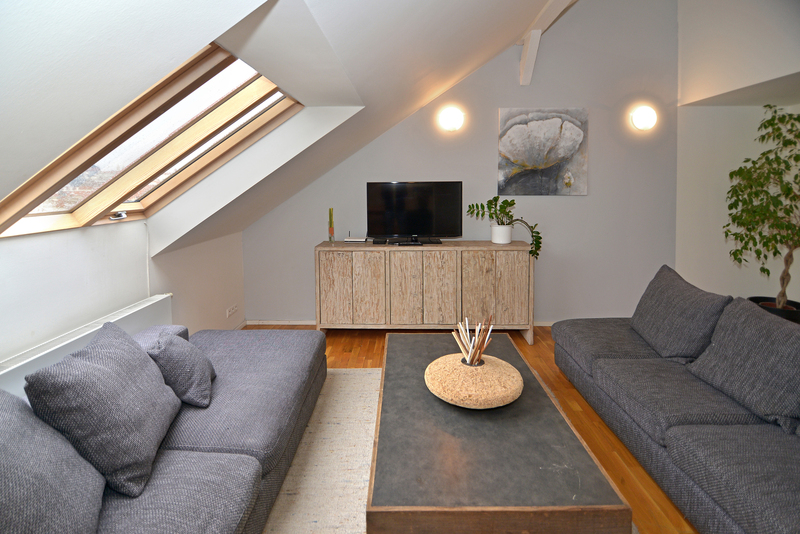 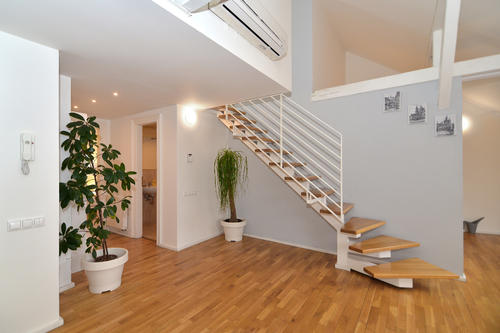 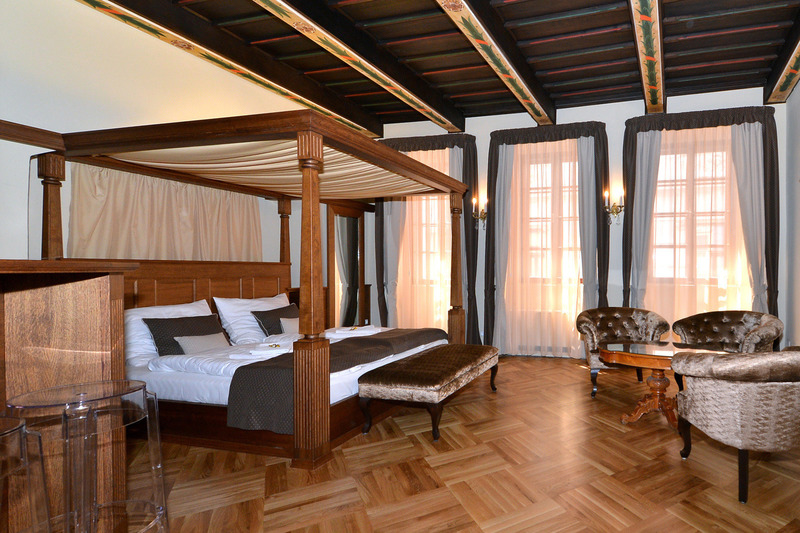 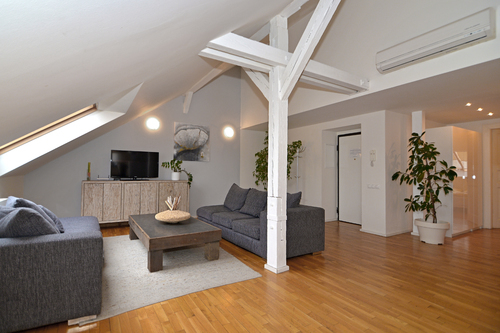 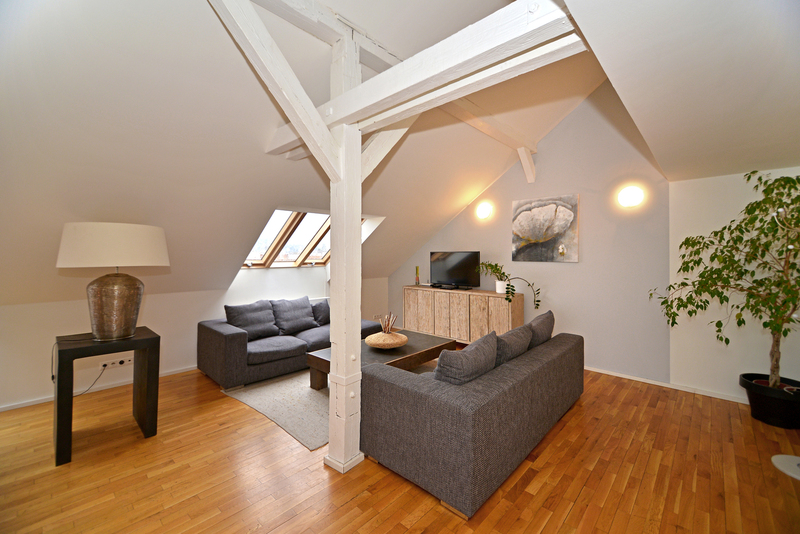 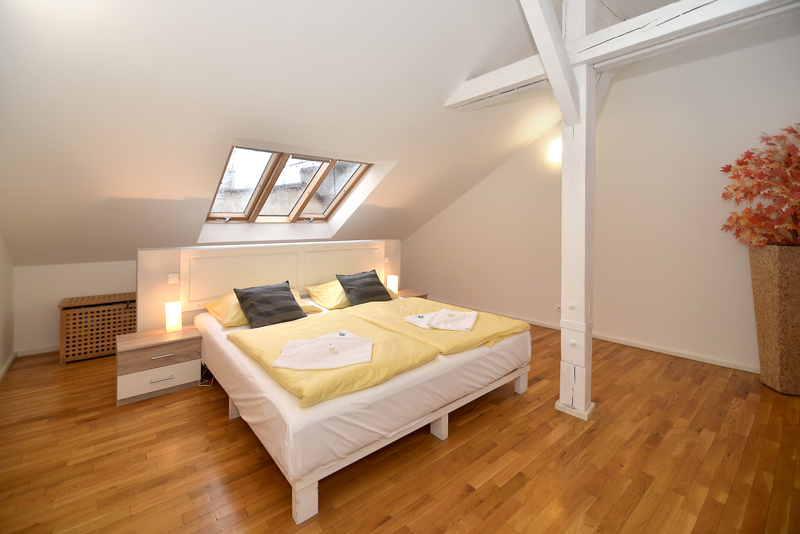 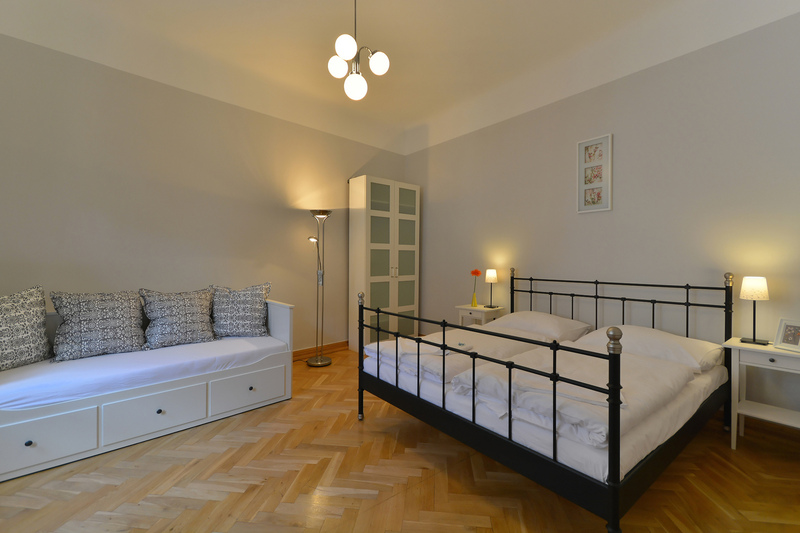 Treat yourself to a relaxing stay in Prague in these exceptionally spacious apartments.